Designers & Makers of Antique Mirror Glass - Mirrorworks Antique Mirror beautifully handmade to order for your home. 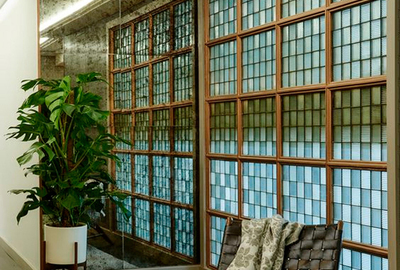 Mirrorworks hand make mirror glass that is indistinguishable from actual vintage mirror. Each unique piece is subtly distressed, aged & antiqued to suit your requiredments. 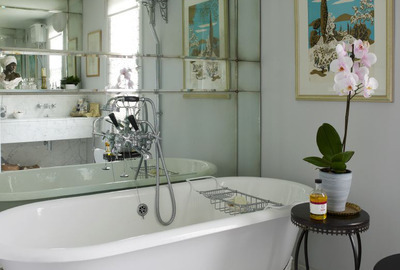 Our light antique mirror glass can be tailored to suit, as we make it all in house. We can simply take the harsh newness out of the mirror or gently antique the edges leaving the centre clear. 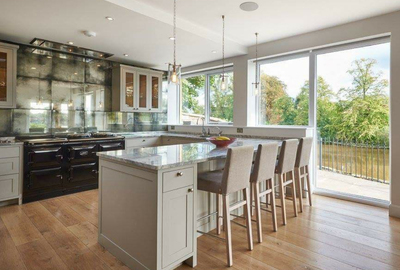 All finishes featured here are on standard float glass. Available on 4, 6 and 8mm float or low iron glass. 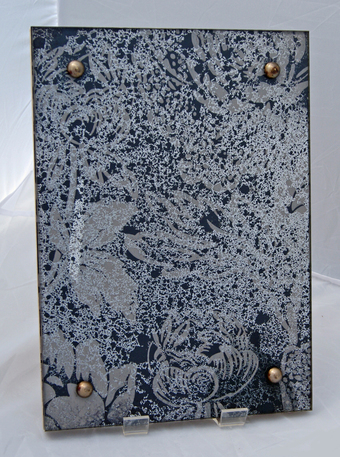 We can also manufacture this finish on tinted/coloured float glass and hand blown restoration glass. This finish can be toughened to British Standards. All products come with polished edge (micro/pencil bevel) & are safety foil backed as standard. Please email for further details. Prices start from £350 per m². 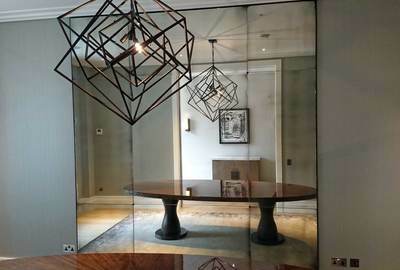 Our Medium antique mirror glass, can be tweaked to suit, as we make it all in house. This finish has a gently aged edges but leaves the centre clearer with a little spotting. All finishes featured here on standard float glass. Available on 4mm, 6mm, 8mm float, & low iron glass. We can also manufacture this finish on body tinted/coloured float, 4mm hand blown restoration glass & toughen to British Standards. 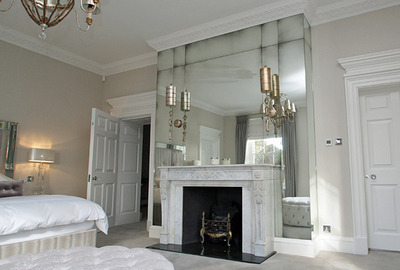 Our heavy antique mirror glass, can be tailored to suit, as we make it all in house. It’s a very atmospheric finish, although still reflective. We recommend that it is used for kitchen or bathroom splashbacks as it can be quite dramatic in living spaces. All finishes featured here on standard float glass. Our Argento antique mirror glass, is totally unique to us. 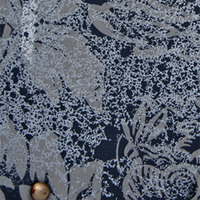 It is a clear antique mirror which is used as an overlay to cover wallpaper to create an opulent finish. The effect is best suited for darker wallpapers. The finish shown here is a Farrow & Ball swatch. This glass can be made on toughened glass so could be used for splashbacks or in hard working areas. It also works well in dressing rooms or dining rooms to create a bit of drama. All finishes featured here on standard float glass. Prices start from £375 per m². 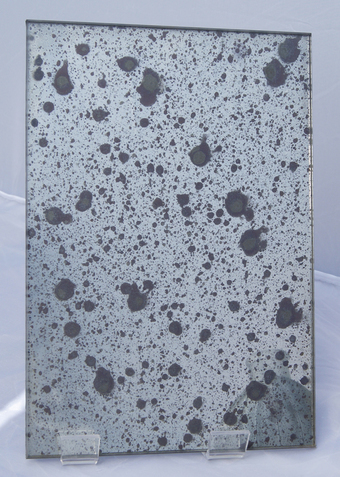 Our Mottled antique mirror glass, is a beautifully subtle patinated finish in smokey grey. The pattern repeats all over the glass and is very reflective. All finishes featured here on standard float. Our Smoked antique mirror glass, is a striking, but understated patinated finish in smokey blue, grey. The pattern repeats all over the glass and is very reflective. All finishes featured here on standard float glass. Our Vintage Sparkle antique mirror glass is a heavily distressed antique mirror with a subtle sparkle finish like authentic vintage mercury mirror. The pattern repeats all over the glass. All finishes featured here on standard float. Our Rustic Antique mirror glass, finish has distressed aged edges but leaves the centre clearer with tarnished brown tones and darker spotting. All finishes featured here on standard float. Our Bronze Tarnish Antique mirror glass, is a beautifully warm distressed finish. It still remains very reflective with its tarnished brown tones and darker spotting. It is perfect for kitchen splashbacks. All finishes featured here are on standard float. Our Bronze Antique mirror glass is a beautifully warm distressed glass with a subtle glitter to the finish like authentic mercury mirror glass. Is perfect for kitchen splashbacks but is also very at home within frames & alcoves. We can apply any of our antique finishes to this glass. 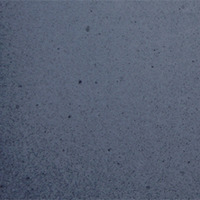 Available on 4 or 6mm Anti-sun glass, this finish can be toughened to British Standards. 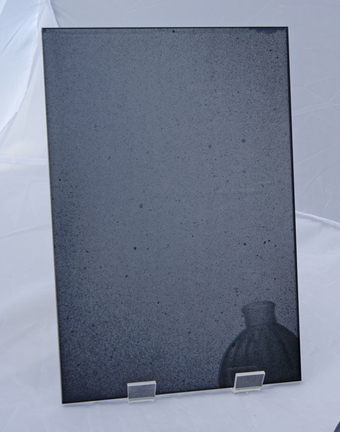 Our Grey Tinted Antique mirror glass, has a slick blue grey hue. 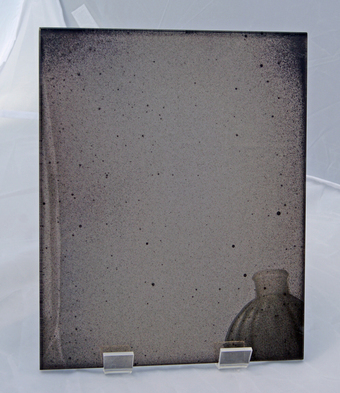 The distressing gives it a smokiness and it has a subtle glitter to the finish like authentic mercury mirror glass. It is perfect for kitchen splashbacks but is also very at home within frames & alcoves. We can apply any of our antique finishes to this glass. We can manufacture plain mirror on toughened safety glass to British Standards BS EN 12150. Toughened glass is five times stronger than normal float glass. If a piece were to break, it would fragment into lots of small, non-sharp pieces. So it gives you extra piece of mind when using mirror in hardworking areas such as kitchens & bathrooms. Available on 4mm, 6mm, 8mm float, & low iron glass. 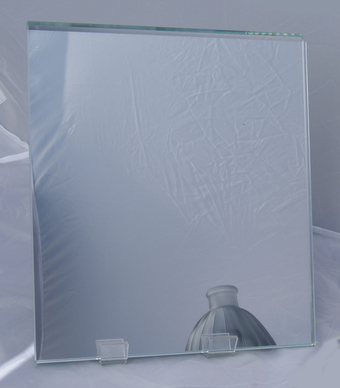 We can also manufacture plain tough mirror on tinted/coloured float. Prices start from £195 per m². We are unique in the respect that we can silver new pieces of glass for your projects. 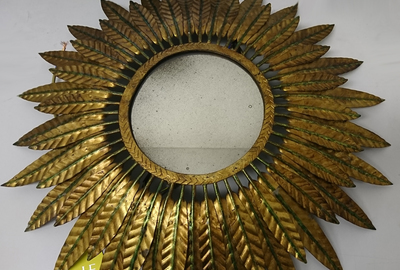 Or we can resilver your vintage pieces to make them like new again.This service involves removal of damaged mirror, scrupulously clean the glass, re- silver, copper to protect the back of the mirror & paint. We undertake all sorts of restoration work from re-silvering vintage car mirrors, furniture & period mirrors. 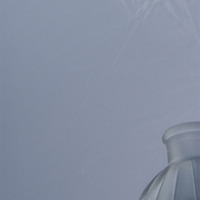 We can also silver shaped glass objects such as bowls, bottles & convex glass. We have years of expertise in how best to restore period pieces, please do get in touch if you would like to discuss a project. Please email for further details. Prices start from £200 per m². Our Bronze Smoked Antique mirror glass, is a beautifully warm distressed glass with a simple patination all over. Is perfect for kitchen splashbacks but is also very at hope within frames & alcoves. All products come with polished edge (micro/pencil bevel) & are safety foil backed as standard. Samples available, please email for further details. Available on 4mm, 6mm, 8mm float, & low iron glass. We can also manufacture this finish on body tinted/coloured float, 4mm hand blown restoration glass & toughen to British Standards. 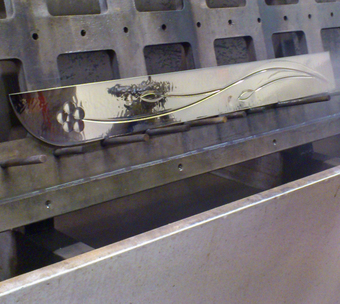 All products come with polished edge (micro/pencil bevel) & are safety foil backed as standard. Founded in 2007, Mirrorworks was born out of two peoples passion for working together, hanging out in workshops and making stuff, mainly from a small tin shed in Shrewsbury. Rob & Jo Young come from furniture & Jewelry backgrounds. 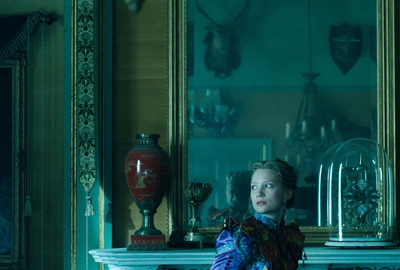 Together they found that they could make beautiful antique mirror glass finishes, rediscovering the traditional way to silver glass. 9 years later the partnership is still going strong, having helped hundreds of businesses and private customers perfect their interiors with their handmade mirrors. Although the tin shed has grown & evolved, they are still a small business, just Rob and Jo and that’s the way they like it. They are able to give their customers a friendly, hands on, personal service from design to delivery. Please see the galleries for examples of their work - the photos speak for themselves. Please see the blog for samples & measuring advice. Everything there is exclusive to Mirrorworks and is hand made in the UK. 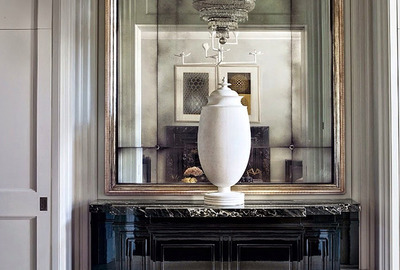 Mirrorworks has worked for Chatsworth House, Nicole Farhi, Proctor & Gamble, Disney, Nicky Haslam, Ralph Lauren, Linley, Colefax & Fowler, Ossowski, John Minshaw, Hubert Zandburg, Soane Britain, Balfour Castle and private customers throughout the world, from Moscow to Mustique. 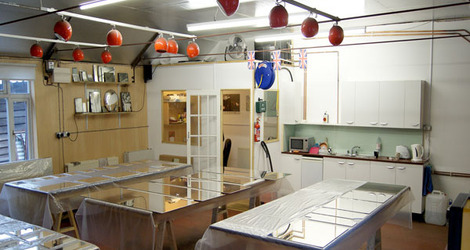 We do not have a showroom and being a busy glass & silvering workshop we cannot accept visitors, sorry to disappoint. Our standard hours of business are 9am to 5pm Monday to Friday - please email or call us to find out more.